This regiment was formed in 1881 by merging the 72nd (Duke of Albany's Own Highlanders) Regiment of Foot and the 78th (Highlanders) Regiment of Foot (The Ross-shire Buffs). These became the new unit’s 1st and 2nd Battalions respectively. It became the county regiment for seven northern Scottish counties, including the Orkney Islands. Both predecessor regiments were in India at the time of the merger. 1st Battalion returned to Britain in 1882, stopping off in Egypt ​​​​​​to fight at Te-el-Kebir (1882) en route. 2nd Battalion returned home in 1897, after serving in the Hazara Expedition (1888) and Chitral Expedition (1895). In 1883, 1st Battalion was posted to Parkhurst on the Isle of Wight and received new Colours the following year from Queen Victoria at Osborne House. Her son, Prince Leopold, the Duke of Albany, was also made regimental colonel-in-chief. 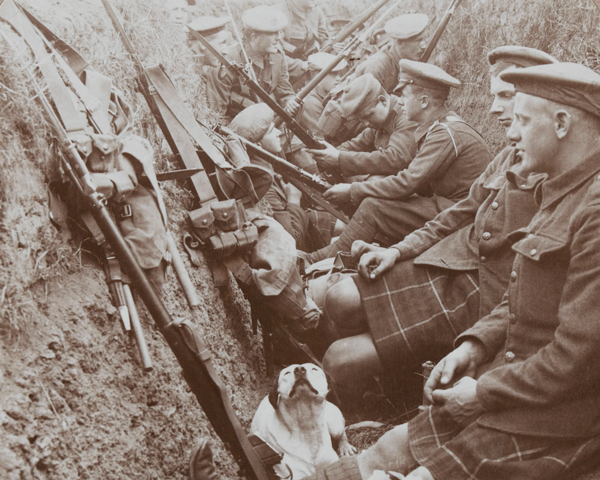 'Cuidich 'n Righ' was the Scots Gaelic motto of the Seaforth Highlanders, but what does it mean? 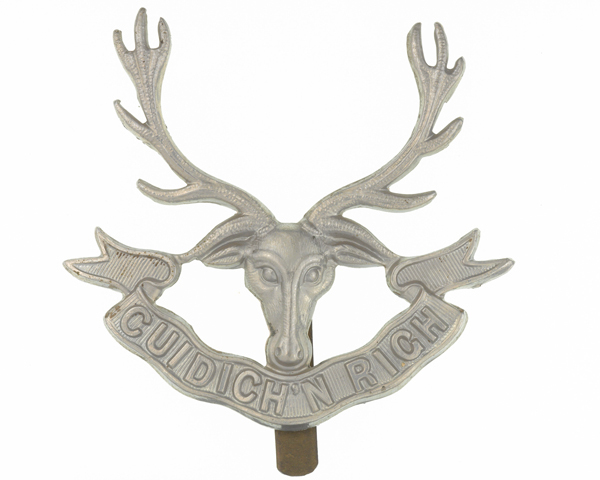 According to legend, the motto 'Cuidich 'n Righ' originated from a 13th-century hunting incident, when the chief of Clan Mackenzie rescued King Alexander III of Scotland from a wounded stag. The Seaforth Highlanders inherited the motto from its predecessor unit, the 72nd Regiment, which had been raised in 1778 by the Earl of Seaforth, a member of the clan. In 1898, 1st Battalion fought at Atbara and Omdurman in the Sudan. 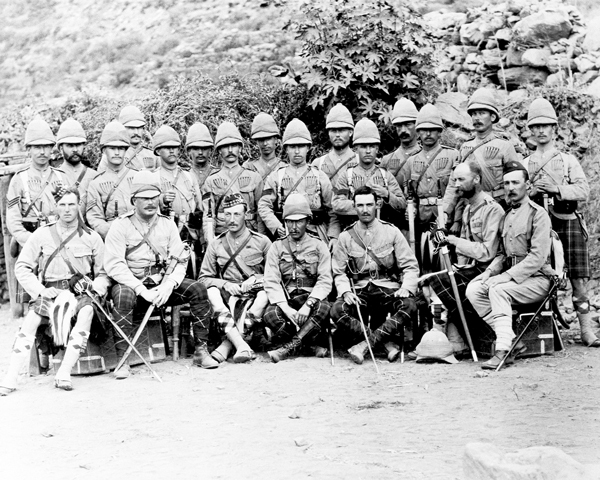 A year later, 2nd Battalion was sent to southern Africa to serve in the Boer War (1899-1902), fighting in several engagements including Magersfontein (1899) and Paardeberg (1900). 1st Battalion moved to India in 1903. It stayed there until the outbreak of the First World War (1914-18), fighting on the North West Frontier in 1908. In August 1914, 2nd Battalion - which had been back in Britain since 1903 - deployed straight to the Western Front, staying there throughout the war. 1st Battalion joined it there in October 1914, later moving to Mesopotamia in 1916 and Palestine in 1918. The regiment was awarded seven Victoria Crosses during the conflict and raised 13 Reserve, Territorial and New Army battalions. These served in all the major theatres of war. 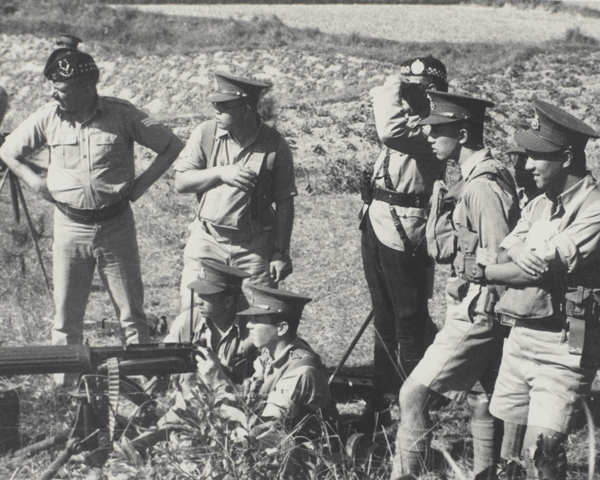 During the 1920s and 1930s, both battalions served as garrison troops across the British Empire, including India, Egypt, Palestine and Hong Kong. 2nd Battalion also fought on the North West Frontier of India in 1930. On the outbreak of the Second World War (1939-45), 2nd Battalion joined the British Expeditionary Force. In June 1940, it was captured at St Valery, along with the 4th Territorial Battalion, and had to be reconstituted in Britain two months later. Meanwhile, 1st Battalion was in China on the outbreak of war. It stayed there until November 1940, when it was deployed to Malaya. From February 1942 until the end of the war, it was stationed in India. The new 2nd Battalion spent the same period fighting in North Africa, including El Alamein (1942) and the Tunisian campaign. 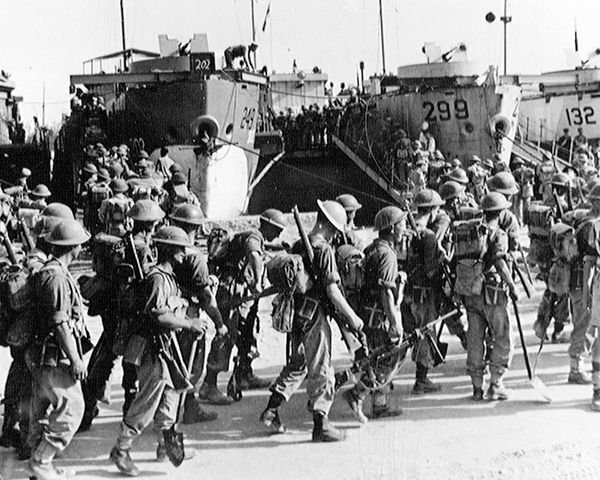 In 1943-44, it joined the invasions of Sicily and Italy. Then, in June 1944, it landed in Normandy, going on to take part in the North West Europe campaign. It was joined in these campaigns by the Territorial 5th, 6th and 7th Battalions. 1st Battalion spent the immediate post-war years on Java in the Dutch East Indies (now Indonesia) and then in Singapore. 2nd Battalion spent the same period on occupations duties in Germany. In 1948, the regiment’s two regular battalions were merged into one. It then fought in Malaya during the Emergency (1948-1960), before spending the 1950s in West Germany with the British Army of the Rhine, and on garrison postings to Egypt, Aden and Gibraltar. In 1961, the regiment was amalgamated with The Queen’s Own Cameron Highlanders to form The Queen’s Own Highlanders (Seaforth and Camerons). 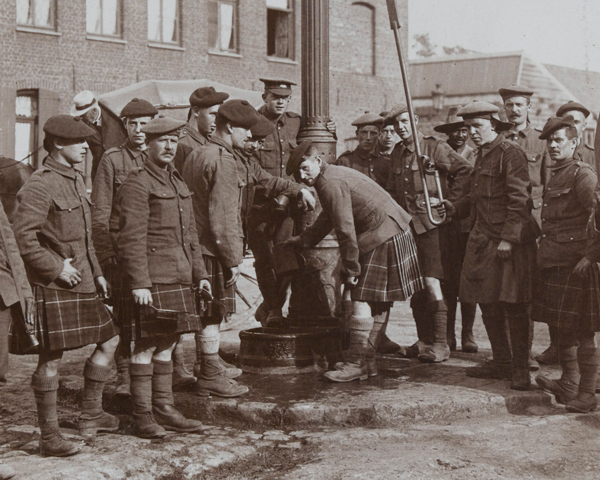 Explore the history and collections of the Seaforth Highlanders (Ross-shire Buffs, The Duke of Albany’s) by visiting the regimental museum at Fort George. This Scottish infantry regiment was formed in 1793. It fought in many campaigns until 1961, when it was merged into The Queen’s Own Highlanders (Seaforth and Camerons). The Black Watch can trace its origins back to the early 18th century. It went on to fight in nearly all the British Army's campaigns and is now part of the Royal Regiment of Scotland.